Inside: Are you exhausted just thinking about what is on your plate these days? Do you long for a more relaxed family schedule? 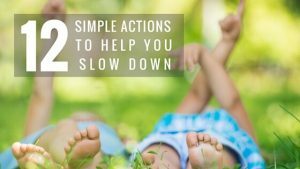 Here are five ways to help you simplify your life and slow down. Are you exhausted just thinking about what is on your plate now that school has started? 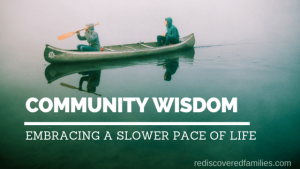 Do you long to simplify your life and slow down? When I was doing a course on microeconomics I learned about the concept of scarcity. Scarcity is a problem that arises when people have many wants, but limited resources. When this happens we must make choices between our wants. We make these decisions by giving up (trading off) one want to meet another. At times I experience scarcity in our garden. We have a limited amount of space and I have to choose what I want to plant. Sometimes I will give up my desire to grow one plant, so I can plant another. One of our most valuable resources is our time. Yet I have noticed that there is a tendency in our society to treat time as an unlimited resource. Our responsibilities and activities fill our days to overflowing. As a result we are all frantically busy. Our time is a limited resource, so we have to make choices about how we use it. When we over-schedule our days we stress our breaking points. When that happens we experience scarcity. We find ourselves multitasking and juggling commitments. Sound familiar? There is nothing wrong with organized sports and extra curricula activities. They all have a place. But we run into trouble when we try to cram too many activities and commitments into our lives. Then we start giving up some things to satisfy others. Unfortunately we often neglect what the important to get as much done as possible. Thes include things like shared meals, converasation, family time, exercise, spiritual practices, or creativity. These things are easy to put on hold. What is urgent and pressing tends to take over. It isn’t as hard as you might imagine. It just takes a little practice and commitment, but as you start to simplify you will find yourself creating space to. Limit your commitments: List your commitments, and pick one to cut this week. This will start to free up time for what’s more important to you. When you are considering a new commitment, think carefully about the time it will take. What will you have to give up to do this thing? Is it worth it? Learn how to say no: This is a tough one, but recognize when your schedule is full enough and start saying no to anything more. You are not obliged come up with an apology as a simple, “no thank you” is enough. Unplug: The Internet is a tremendous gift, but it can also be a curse. When you go on-line you’re distracted. This makes it hard to connect with others, hard to stop and slow down. Schedule some time every day to unplug. Then go for a walk with your love or just hang out with your kids. Delegate: some of the things on your to do list. List some of the things that you need to get done this week and pick one to delegate. Get rid of some stuff: Clutter weighs us down and steals our energy. Start to declutter and reap the benefits. Tell me where could you stop, slow down, and simplify? Could you give up one commitment in order to create some space? How might that benefit your family life? Love your clear and practical steps toward this attainable goal! I am willing to take on setting up electronic-free periods for dates with my Sweetheart. There is a continuous dance these days with a series of de-clutterings here at my father’s home. Clearing through drawers, closets, and other clutter magnetized areas of a confirmed packrat sometimes seems endless. Even so, I am taking heart from your post that there will be such delight of inner spaciousness when I view the serene external orderliness. I love the idea of Electronic free dates 🙂 I hope your decluttering at your father’s home goes smoothly. I love the inner spaciousness that results from clearing out all that clutter. I sometimes wish I were like Mary Poppins and could snap my fingers and find that it is done! I hope the process goes smoothly for you. After a year with two winter activities for each child, followed by a spring of one activity each, we have decided to limit the activities. With one activity each, they still have us busy 3 after schools and most weekends. Although I would like the money I would make working, I cannot fit full-time employment into my life and be happy. This time of my life is for my children. I do spend time productive volunteering as I believe it is a worthwhile endeavor. I don’t treat my volunteer work as a social network and get what needs to be done completed. Many parents I know complain about hockey. After a conversation with them, I usually find out they have tried to tack on one or two other activities. I like the idea of sticking with what is most important and removing what is not. Nadine what a lovely surprise! I’m so glad you popped by and left a comment. 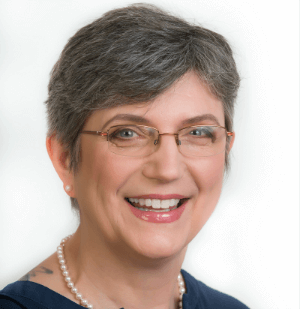 I love the way that you have expressed that “this time of my life is for my children.” It is so true and I can assure you that you have made a great decision- your children’s confidence and happiness are a testament to that. It shows and it lifts my heart to see you together each week! I don’t honestly know how parents survive hockey! It is a huge commitment in terms of time and money. I’m always amazed that parents take on other activities as well! Nicely written and a great reminder. We went on holiday recently and I went totally internet free. It didn’t bother me one bit but when I got back home it didn’t take long for old habits to re-appear. Checking facebook and instagram randomly all day is my worst habit when I could just set time aside each day and use the minutes I lost otherwise on other, more productive things. I struggle with those two as well Louisa! 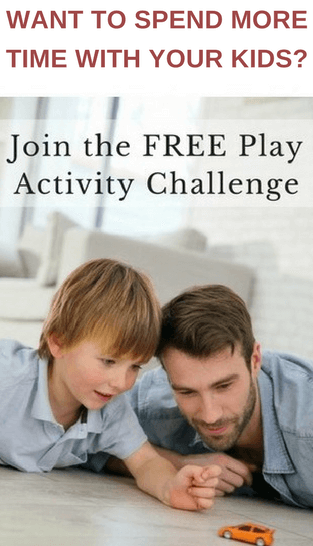 I like your idea of having the children choose the activities they want to do the most. It’s makes life easier for you and teaches them a great life skill. My husband just did microeconomics too and loved it. He didn’t pass of this information though!! Everything is a balance. We need to weigh up our current pleasure against current pain verses the possible future pleasure or pain that may arise from our current choices. All a balance. You are so right Sarah everything is a balance. I know that I often get things out of balance, but I keep trying! It’s so true. We are so often filling our lives with so many activities, we just miss the important stuff. We have a one sport per child policy in our home. It’s already busy enough with that, but we don’t need extra making it hard to spend time together. That’s a great policy Jess. I think that sports take a lot more time than people expect. At least that’s the sense I get from parents in our community. One per child is probably more than enough! Thanks for dropping by Merlinda. Glad it was helpful. This is very true. Now all my children have started school, I am reaping the benefits of having more time, so when they come home, we have much better quality time than when I was home with them all day.I am now asking the question of how many after school activities is acceptable?